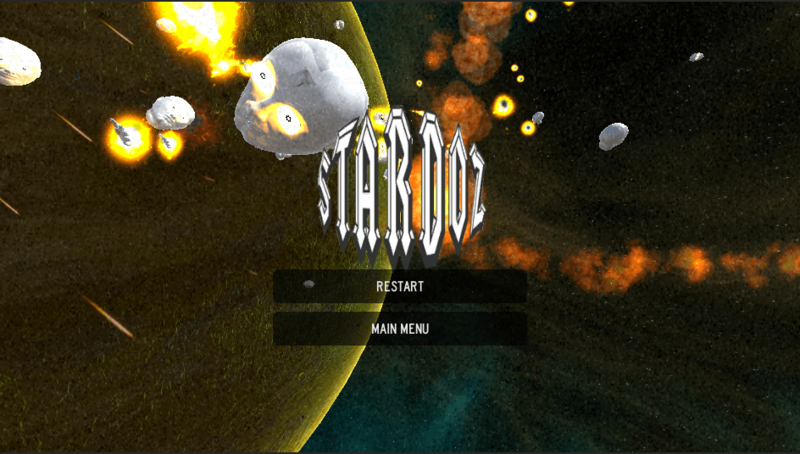 Stardoz is a crazy experimental biometric-driven game I built at TOJam a few weeks back. 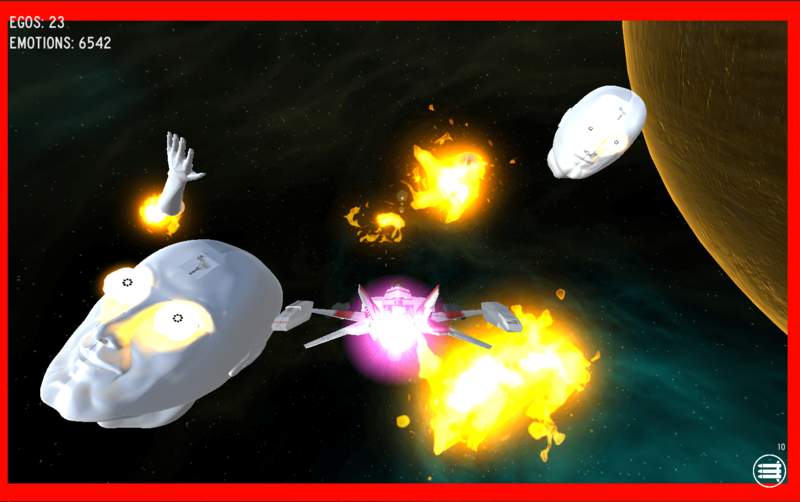 In the game you fly around in a spaceship shooting at giant floating heads and hands. It’s similar to many flying in space combat games. The catch is that your heartbeat controls the spawn rate of enemies. 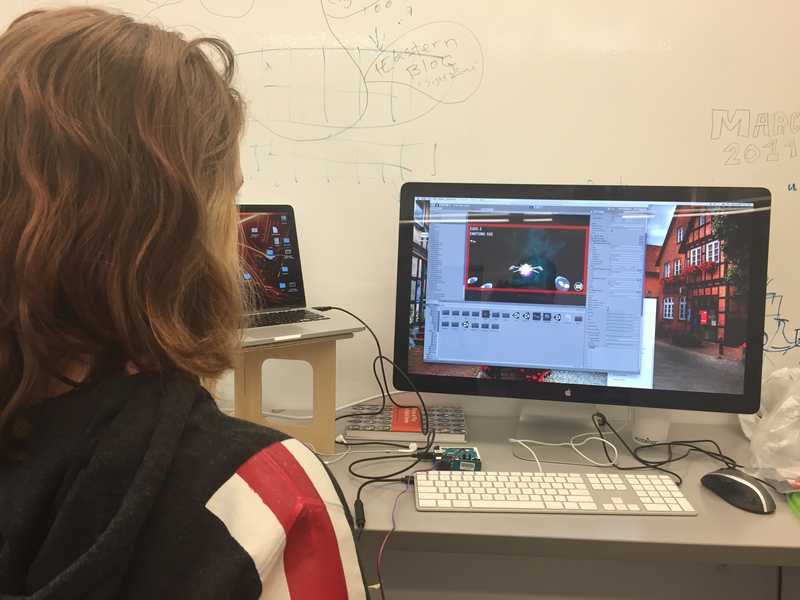 The pulsing red border on the screen shows the player’s heart at work. If floating heads seems familiar to you, it’s because you may remember the movie Zardoz starring Sean Connery. Just watch the trailer to see how zany the movie is. Really, the gameplay is similar in play insofar that “the gun is good” and that one survives by ‘killing’. It’s very simple gameplay with a neat twist. I made Stardoz to test out some space-based game mechanics and to incorporate some biometric data into a game. Playtesters have liked the heartbeat spawn mechanic and only one player took issue that the game is hard for people with high resting heart rates. I’m still tweaking the spawn rate but it’s alright for the most part. The art confuses players and that’s a design goal of mine. I wanted it to cross between the ridiculous and the overly-symbolic. Thus, instead of a score it lists how many egos you’ve destroyed and how many emotions you have. .
You are flying through space (or is mindspace?) destroying representations of human forms. In some cases it’s heavy handed and in some ways quite subtle (only one person has figured out the symbolic placement of the TOJam goat). With the excellent help of J Lee, I was able to get an Arduino Uno board to work with a pulse sensor which meant that heartbeats could be tracked using Unity. 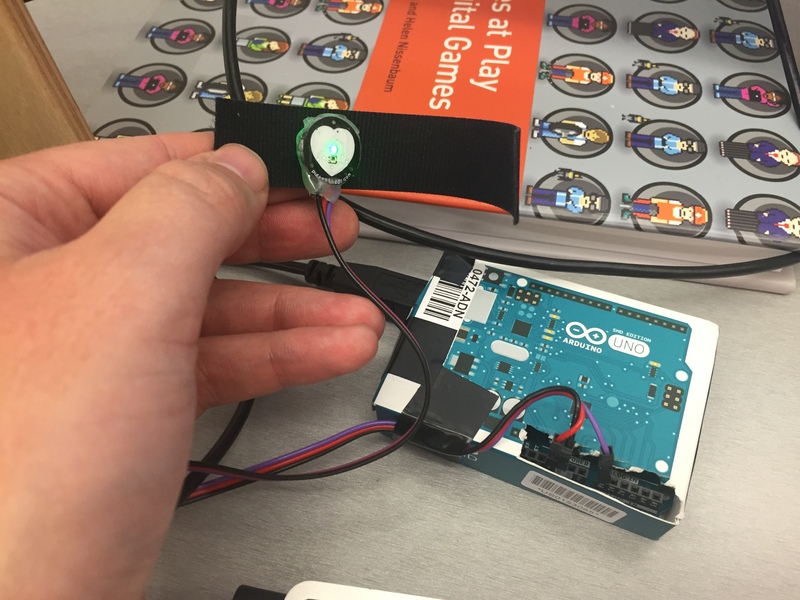 The heartbeat is tracked using this pulse sensor which was really easy to connect to the Arduino and to configure it into Unity. “Fun fact”: for Windows use COM4 and /dev/cu.usbmodem1421 for Macs as the port for Unity to talk to the Arduino. At least this is what worked for my setup. Results may vary. 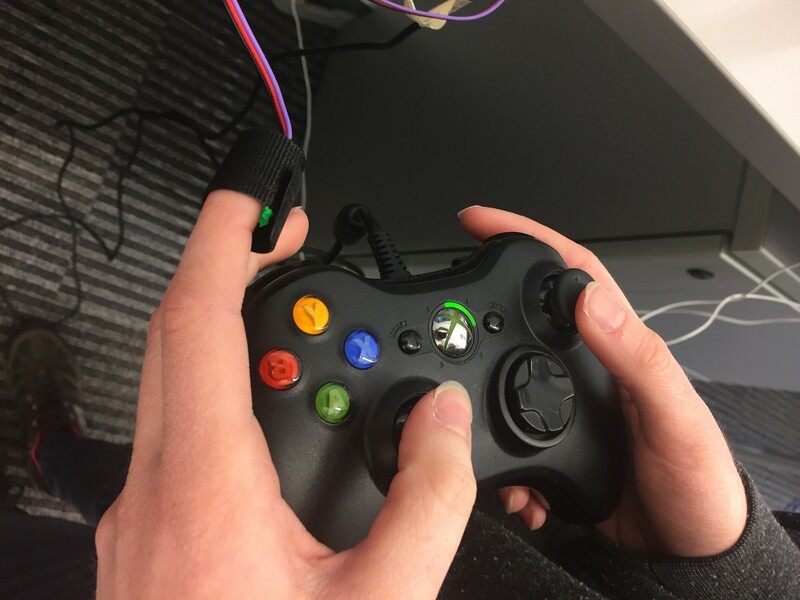 The pulse sensor goes around the player’s finger and surprisingly doesn’t interfere with gameplay controls. It can be attached to the player’s ear but it just feels weird. For this game will be to see if I can get it working with the Apple Watch (or Android Wear), if it works maybe I’ll release it for anyone to play. In the meantime I’m hoping to show it at upcoming events.